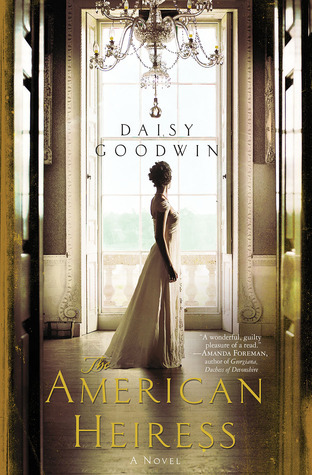 Thanks an amazing follower on Twitter I was able to get my hands on an ARC of Daisy Goodwin’s The American Heiress (published in the UK in 2010 as My Last Duchess). 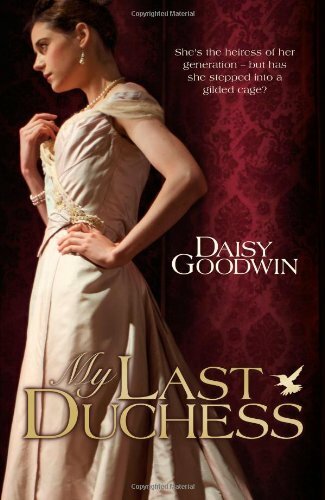 I have a definite soft spot for the stories of American heiresses, and Daisy Goodwin managed to touch upon all of the things I enjoy about the “trope” and then some. The story of Cora Cash and her English duke, to say nothing of their families, friends, and servants, has a little of something for everyone–romance, history, social issues, race, marriage, and a frothy dollop of Henry James’s shrewd portraits of transatlantic relations. After completing The American Heiress, I had to track Daisy down for an interview, and she is just as lovely, insightful, and gracious as her book! 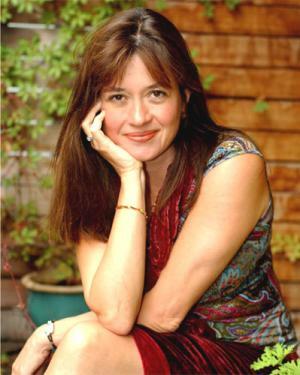 Daisy Goodwin, a Harkness scholar who attended Columbia Film School after gaining a degree in History at Cambridge University, began her TV career at the BBC as an arts producer. At Television Centre, she made films about literary figures, and devised Bookworm and The Nations Favourite Poems Initiative. Whilst at the BBC she also devised the hugely successful shows Looking Good and Home Front. The mother of two children, Daisy also finds time to dream up and edit poetry anthologies, including the bestseller 101 Poems That Could Save Your Life. What sparked your interest in telling the story of Cora Cash and her status as an American heiress? There are many similarities between Cora and Consuelo Vanderbilt (9th Duchess of Marlborough, 1895-1920); what do you think is so compelling about Consuelo’s story that authors such as yourself, Edith Wharton, and Henry James find much to inspire their fiction? There is something irresistible about the idea of a poor little rich girl. I think we would all like to believe that money doesn’t make us happy. As a narrative device, you can’t beat someone coming into a closed society for the first time and discovering that it has its own impenetrable code. One of the greatest compliments I have received on the book is “ It’s like `Henry James without the boring bits.” I am not in Henry James’ league, of course, but I was flattered that the reader understood where I was coming from. Do you feel you’ve gained a deeper understanding of the fad for transatlantic matches, and the toll it had on American brides and their English husbands? I have become quite the expert on Dollar Princesses and their impact on English Society. A few of the marriages were happy, [such as the marriages of] Jennie Jerome and Randolph Churchill, [and] May Goelet and the Duke of Roxburghe, but most of them were a straightforward exchange of cash for titles with predictable results. Consuelo’s dowry was worth a hundred million dollars in today’s money. The American heiress found British society as cold as the country piles they were now expected to live in. One American countess, Lady Fermoy, wrote to her mother that she had slept in her furs every night through the winter and she couldn’t go out to dinner as she couldn’t face the chill in decolletage. In The American Heiress, the ties between mothers and their children is a prevalent theme throughout the book. When you compare the relationship between Cora and her mother with that of Ivo and his mother, did you see any similarities when writing the book? Do you feel these relationships defined how Ivo and Cora viewed the world and interacted with one another? Definitely. The Double Duchess and Mrs Cash have a great deal in common – they both expect to get their won way in everything. Mrs Cash has money as her weapon, The Double Duchess exploits her feminine charms. I think that one of the reasons that Cora and Ivo are attracted to each other is that they see marriage as a chance for each of them to escape their mothers. But having such dominating mothers means that neither of them are completely formed, they both do a lot of growing up in the book. When conducting research for the book, did you have a firm footing in the period, or was the setting completely new and exciting? I studied history at University, and I loved the late nineteenth century. The 1890’s were such an exciting time artistically: Oscar Wilde’s plays, the Yellow Book, Aubrey Beardsley’s astonishing drawings. I had read a lots of novels written in the period: [George] Gissing, Henry James, [Thomas] Hardy, Frances Hodgson Burnett, [Anthony] Trollope (the Duke’s Children), and while I was writing the book I tried to keep my reading in period so that I would get the language right. Nothing worse than finding someone saying ‘Okay’ in 1895. The cult of celebrity was strong during this period. Do you feel the pressures of our present age of 24/7 tabloid coverage are similar or different than those of the past? I wrote my dissertation at Cambridge on the relationship between the Victorian monarchy and the press. We think that the cult of celebrity is a new thing but actually the press were just as intrusive and as scurrilous a hundred years ago,. True they didn’t have camera phones or electronic surveillance but newspapers had a network of paid informers who were working as servants. A magazine like the New York scandal rag Town Topics was just as full of malicious gossip as National Enquirer is today. While writing the book, did you ever have any doubts about Cora’s happiness as a Duchess? Absolutely. I didn’t know right until the the end whether Cora would stay or go. I think she married for love and to get away from her mother. She may enjoyed being called ‘Your Grace’ for a moment but Cora is an American girl, she’s not a snob like her mother. Ivo was quite tricky to write. There is a touch of Mr. Rochester in there but I imagine Ivo to be a lot more amusing to be with. I enjoyed writing about Bertha, Cora’s African American maid. I thought it was fascinating that although Britain was/is a society obsessed by class, it didn’t have the race laws that America did. Bertha can marry Jim in England, but in America at the time it would be illegal for a black woman to marry a white man. She finds freedom in England, while Cora finds nothing but restriction. What expectations do you have of American audiences when reading The American Heiress? I hope they enjoy it and I am encouraged by the US reaction to Downton Abbey. I hope that people will read it for the characters, the story and for a sideways look at the Special Relationship. Lastly, what’s next on the horizon? I am writing a novel set in the mid nineteenth century about the Empress Elizabeth of Austria who was called the ‘most beautiful woman in Europe’. She was a fascinating character whose life has some parallels with Princess Diana. It is what you might call an epic story set in England, Austria and Hungary. I am enjoying the research trips! Visit Daisy Goodwin on the web at DaisyGoodwin.co.uk where you can enter the world of The American Heiress (aka My Last Duchess). Or, obtain the latest updates on her projects on Facebook and follow her on Twitter! Wonderful interview. This book is in my TBR pile, I just ordered the paperback version from the UK. Empress Elisabeth of Austria is also one of my favorite women. I can’t wait to read her next novel.